With the rise of globalization, the American hemisphere has been integrated economically and politically. But what is the role of culture in this new integration? To what extent do the Americas share a common culture? This book starts from the premise that cultural conflict is inherent to all American cultures. 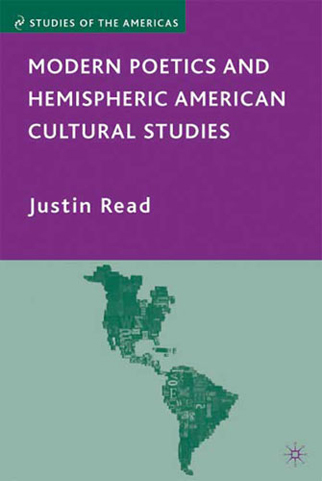 Thus, the only way to study national cultures hemispherically is to examine the inter-cultural collisions bothbetween American nations, and within them. Through readings of key 20th century texts, Read argues that such conflicts form a distinctly poetic process. Modernist and vanguardista poets sought to make the language of cultural conflict – translation – into a concrete reality in its own right, the language of the Americas. Read, Justin. Modern Poetics and Hemispheric American Cultural Studies. Palgrave, 2009.